PREVIEW: Comedian Paul Scheer visits Astonishing Ant-man #4. 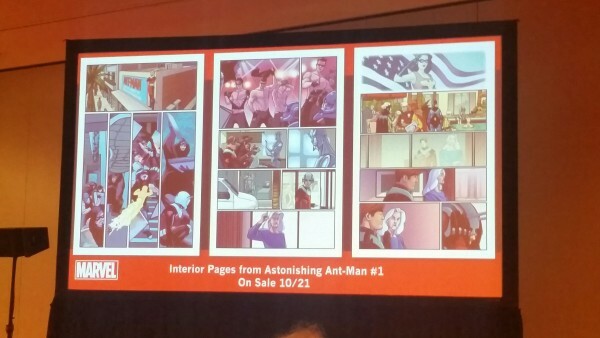 Because you demanded it: Scott Lang, the Astonishing Ant-Man, teams up with Sam Wilson, Captain America! Just like you saw in the movie ! Except in the movie, they actually got in a fight. And in the movie, Sam was still Falcon, not Captain America. But… close enough, right ?!! 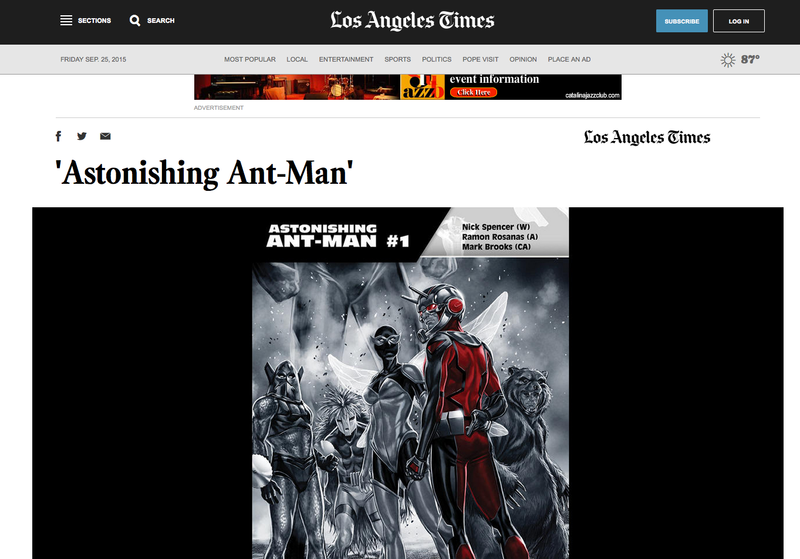 The Astonishing Ant-man versus…his ex-girlfriend?! It’s the return of Darla Deering, aka Ms. Thing! Mi version de Blake & Mortimer. This October, the smallest hero with the biggest heart is back! But is he still a hero? 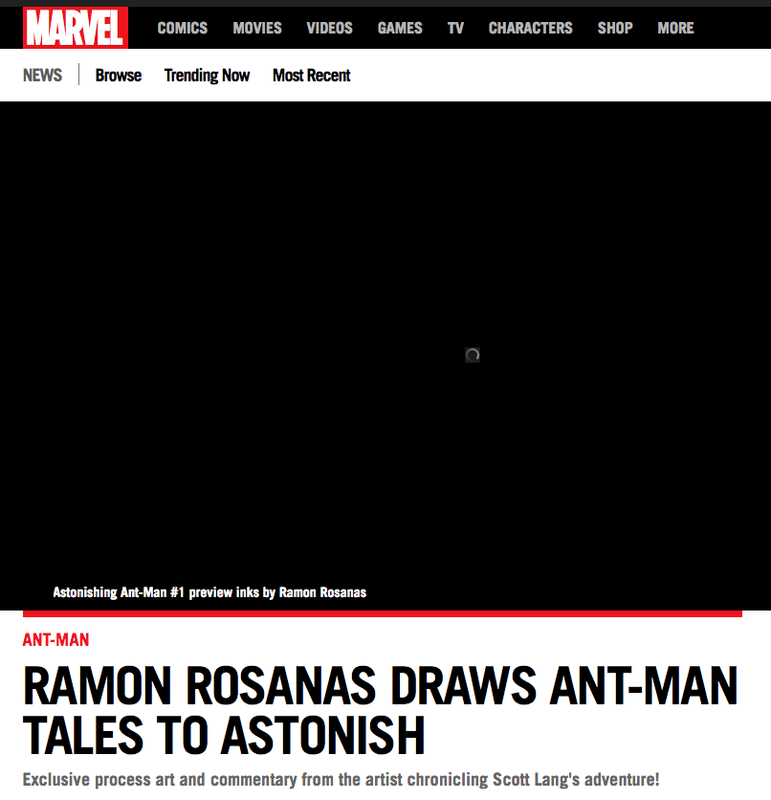 Today, Marvel is pleased to present your first look inside THE ASTONISHING ANT-MAN #1 – the brand-new series from the red-hot creative team of Nick Spencer & Ramon Rosanas!